An auction I won at the last minute: it says it's sterling but it looks like lead. 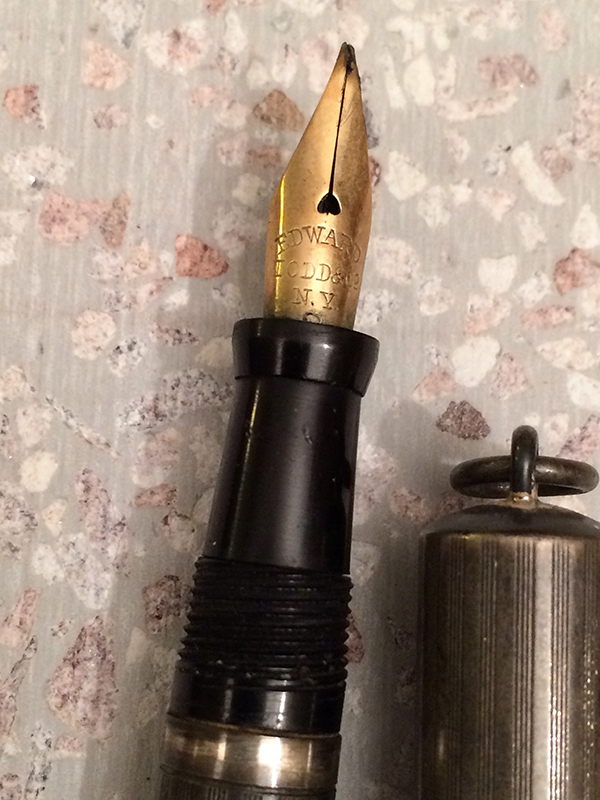 The nib looks promising, though. Unfortunately, that sounds like how I feel every morning when the alarm goes off. I've already got everything but the sperm count thing. Gravity take its toll. 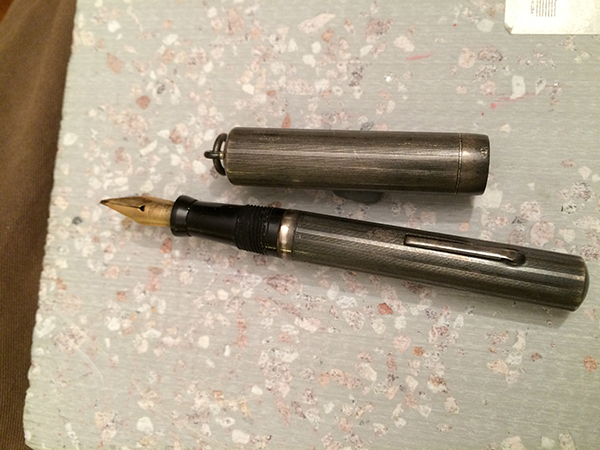 I'm hoping that what it needs is a good polish, as well as the new sac, the nib repair and...whatever else it needs.